The topic of automotive franchise has been in the news lately as Tesla pushes into more states seeking permission to operate factory-owned stores. I decided to browse through a few books to see what history had to say on the topic of the automotive franchise. Below is a brief summary of some of the information I learned. In the early 1900s product inventory was a big driver in creating the need for the modern day auto dealer. Automakers like Ford didn’t have the capital or capacity to produce, store and sell (door to door in some cases) vehicles while also keeping up its focus and investment in the manufacturing process. Many automakers saw franchise dealers as a way to offload inventory and give them a wider geographical availability of vehicles. Automakers realized early on that for the automobile to succeed they would need to provide mechanical support to buyers which meant having local part inventories and trained mechanics. Automakers saw revenue from service and parts as another carrot to hang in front of businessmen looking to venture into the automotive retail space. Interesting note: Ford had a grand plan to sell cars at Wanamaker’s Department stores, but that plan fell apart. You have to wonder what today’s automotive retail footprint would look like had this plan worked out. Apple stores sitting adjacent to Ford stores at your local shopping mall? It could have been! Automakers seemed to have an initial thought that cutting out the middleman would create bigger profits for the automakers. As Ford learned, selling direct came with many financial requirements, legal obligations and well, headaches. 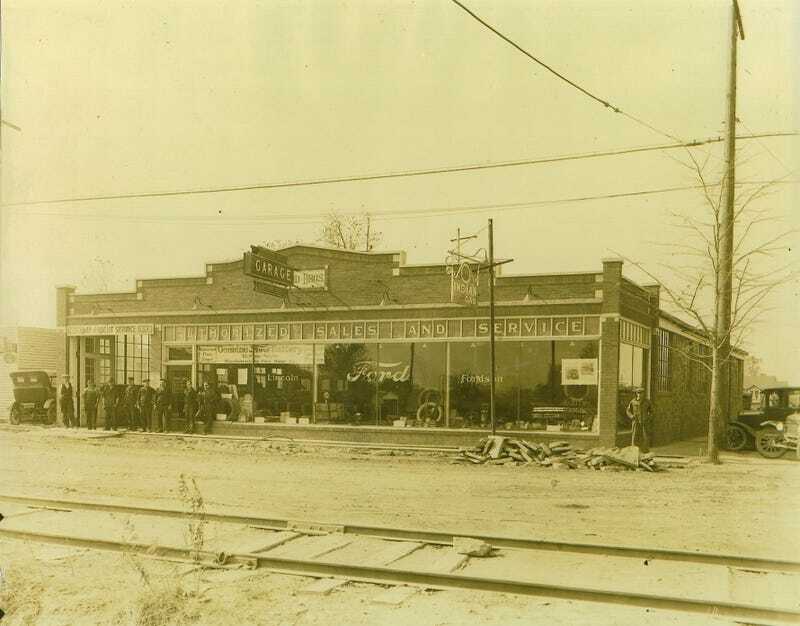 As automakers mastered manufacturing and production was up-and-running, they would eventually turn their attention to marketing and financing rather than re-visit the idea of factory-owned stores. Fun Note: Henry Ford disliked the idea of automotive credit. Historically, and contrary to what many think, the automotive franchise has never been a battle over factory-owned vs. independent-owned. In the 1950s, when the automotive market started to take off, dealers were fighting for two things: protection from arbitrary termination and remedy rights. Dealers weren’t out trying to ward off factory-owned stores. They were trying to protect their investment - their franchise. A perfect example of the dealer vs. automaker: In the mid ‘50s GM decided to start offering one-year franchise agreements. This allowed GM to let the contract self-terminate and refuse to renew. In many cases the courts sided with GM saying the franchisee entered into the contract with the knowledge that it was only binding for one year and GM didn’t technically terminate the agreement. Franchise termination wasn’t the only concern of dealers. In 1955 a congressional subcommittee surveyed 20,000 dealers and found that a primary concern from dealers was overproduction. Dealers said automakers were forcing them to take on excess inventory just to keep factory production in line with post-war capacity. It would appear that a franchise model has always been the ideal way to sell cars. It allows automakers to control a certain market by limiting franchises and provides a monetary incentive-based management model (corporate employees would have little personal incentive to sell other than fear of being fired). Dealers also act as a front line buffer for any dip in market demand and are better equipped to deal with the (then new) used car market. Given the past history between automaker and dealer, it makes sense that dealers coil like rattlesnakes when someone mentions changing franchise laws. But if most automakers have no interest in owning retail locations, as history would indicate, then why not let a low volume maker like Tesla give it a go? Who knows –in 5 years’ time Tesla could learn what Ford learned 100 years-ago; selling cars direct to consumers has very few benefits.